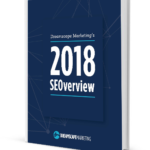 Can An SEO Company Guarantee My Results? What is a Backlink Audit? What is an Analytics Audit? Drug Rehab SEO – Are You Doing It Right? Maintaining Your Own Drug Rehab Website – Should You? Negative SEO – Has Your Drug Rehab Website Been Clobbered? Drug Rehab Web Development – Do You Need a New Website? 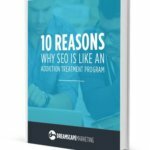 What’s the Best SEO Company For Drug Rehab? Drug Rehab Marketing Lies – Have You Told Yourself These? Drug Rehab Marketing Mistakes – Do These Sound Familiar? Online Reviews for Drug Rehabs – How Does Your Facility Rate? Dental Website Mistakes – Are You Making Them? Is Your Life Plan Community Marketing Just Ancient History? 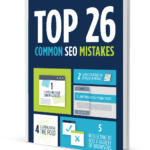 Senior Living Community Web Development Mistakes – Do You Make Them? Your Life Plan Community Domain Name – Do You Own It? Retirement Community Marketing – Are You Keeping Up With the Competition? Are You Feeding It Right? Which Customers Is Your Drug Rehab Center Losing to Competitors? Is Your Drug Rehab Center Following Up On Phone Calls? How Do People On the Web Interact With Search Engines? Is Your Marketing Team Certified to Handle Your SEO & Paid Search? Drug Rehab Websites: What do Prospective Patients Want? Do Ethics Matter in Digital Marketing? How Does the Internet Benefit Drug Rehab Facilities? Social Media Marketing For Dentists – Are You Missing Out? Quality Content for Dental Practice Websites – It’s a Must! Marketing Ideas for Senior Retirement Communities – What’s Best? Drug Rehab Marketing: Who Are You Marketing To? Marketing Retirement Communities – Can Your Website Compete?